EDC’s 2018 Conference is soon! Book your place for 18-20 May at St Katharine’s, Bucks. Our topic is the PERCEPTION AND RECEPTION OF EARLY DANCE, with speakers coming once again from across Europe, the UK and from the USA. One of our keynote speakers, Theresa Buckland, will discuss, “Dancing the Past for the Future: Early Dance as Cultural Heritage”, an important topic that many of us will want to discuss, perhaps especially at a time of cuts to the budgets of many cultural institutions in the UK. A breakout session on accreditation is also scheduled. Edith Lalonger, celebrated French dancer, choreographer and dance historian, is our other keynote speaker, presenting a paper on the perception and reception of Rameau in his own time and today. 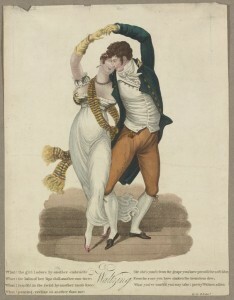 Other topics range from the The Waltz in England to The Estampies and The Minué during the reign of FelipeV, with workshops and talks on topics far and wide, all full of interest. Come along and join us for a memorable country house weekend.